Today, a walk around Mangerton. 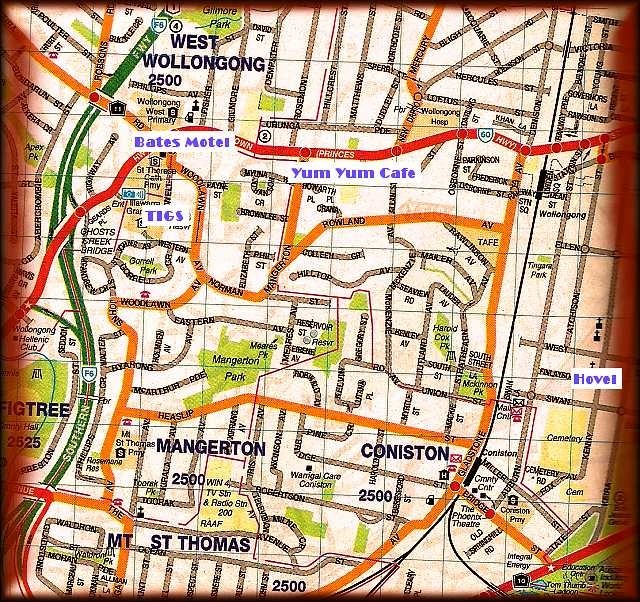 Starting point: The Bates Motel, then down to Yum Yum cafe, up Mangerton Road, across to TIGS, then back to Bates Motel. Over the next week you will see more on this blog. This entry was posted in autumn, Autumn light, Wollongong. Bookmark the permalink.